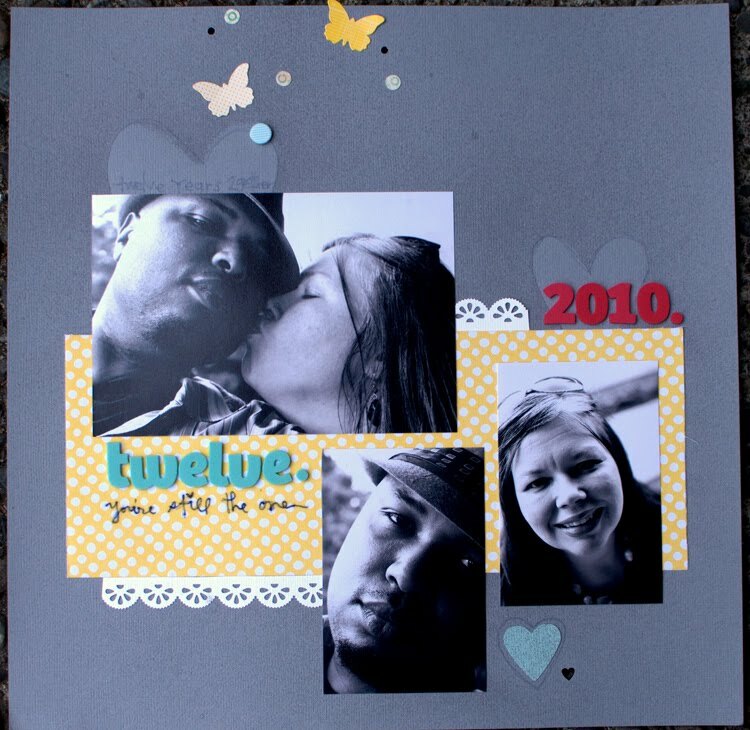 This week's sketch is inspired by Joy Madison's layout "Twelve" from the Summer Camp gallery. Her layout incorporates 3 photos and a simple message. Notice how Joy used the block of patterned paper to anchor her design, then she also added some decorative edges using a border punch. Now it's your turn! Make this sketch your own for a chance to win one of two $5 Studio Calico gift cards. Be sure to upload your layout and link it to this post by Saturday, midnight EST. This sketch is totally speaking to me! May just have to break out some Summer Camp...woohoo! Thanks for hte inspiration. I could not resist this sketch and ended up doing it exactly the same as the original. Great fun and so fast! fun sketch- thanks so much! I decided to replace the smaller pics with the letter cards. Here is my take. This was such a fun sketch to work with! loved the sketch. although I did alter it a bit! LOL. I used my yellow background paper as an anchor like in the sketch, and actually lined my pictures up more. Easy sketch to do! What a great sketch to work with! Thanks for the inspiration, Joy! Great sketch, very easy to use!! I used an add on from the Joyland kit to make my page. Loved this sketch - came together very quickly. here's mine, racing in at the last second as usual! this one was great, ty! Here is mine using the sketch. Yay I'm on time. Finding Inspiration Inside a Cereal Box? Challenge - Scrap those Small Photos! Challenge- Scrap an ultrasound photo!